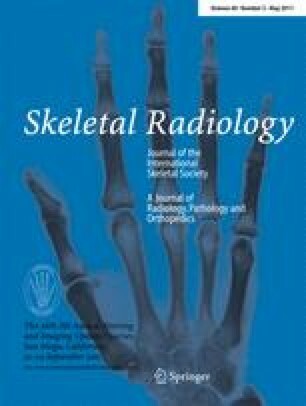 To study standard MRI and dGEMRIC in patients with symptomatic FAI undergoing surgical intervention and compare them with intra-operative findings to see if they were corroborative. Sixteen patients with symptomatic FAI that warranted surgical intervention were prospectively studied. All patients underwent plain radiographic series for FAI assessment followed by standard MRI and dGEMRIC. Subsequently, patients were surgically treated with safe dislocation and the joint was evaluated for any macroscopic signs of damaged cartilage. Data were statistically analyzed. A total of 224 zones in 16 patients were evaluated. One hundred and sixteen zones were intra-operatively rated as normal with mean T1 values of 510.1 ms ± 141.2 ms. Eighty zones had evidence of damage with mean T1 values of 453.1 ms ± 113.6 ms. The difference in these T1 values was significant (p = 0.003). Correlation between standard MRI and intra-operative findings was moderate (r = 0.535, p < 0.001). Intra-operative findings revealed more damage than standard MRI. On standard MRI, 68.6% zones were graded normal while 31.4% had evidence of damage. On intra-operative visualization, 56.4% zones were graded normal and 43.6% had evidence of damage. Correlation between dGEMRIC and intra-operative findings turned out to be weak (r = 0.114, p < 0.126). On T1 assessment 31.4% of zones were graded as normal and 68.6% as damaged. dGEMRIC was significantly different between normal and affected cartilage based on intra-operative assessment. The correlation for morphological findings was limited, underestimating defects. By combining morphological with biochemical assessment dGEMRIC may play some role in the future to prognosticate outcomes and facilitate surgical planning and intervention.